Finding military deals is easy when you’re a member of MyMilitarySavings.com. We use our vast network of resources to find extraordinary deals offered to active duty or retired members of the Armed Forces. We understand the sacrifices today’s modern military families make in service to our country, and our mission is to make it easy to find discounts that retailers and manufacturers offer as their way of saying thanks. Our support of the Defense Commissary Agency (DeCA), military Exchanges, and other retailers enable us to provide you and all 70,000 members of MyMilitarySavings.com the latest money-saving opportunities. But you’ll find more than just extraordinary military deals when you join MyMilitarySavings.com. You’ll also find a welcoming community of like-minded individuals who face the same challenges as you. Our virtual family offers tips, advice, recipes, and other types of support that can help make life just a tad easier. You can participate in exciting members-only contests and sweepstakes for chances to win terrific prizes. Plus, our active Facebook and Pinterest pages provide you with more opportunities to find special deals, discover new recipes, and make new friends. 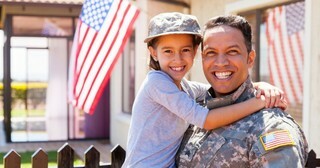 For more information about how we help you serve, save, and enjoy, join MyMilitarySavings.com today on our sign-up page. Find out how your free membership will make it easier than ever to find military deals you can use.